What’s All the Fuss about Tocumwal Golf Club? Many of our guests at Tocumwal All Seasons book with us because our motel is so close to the Tocumwal Golf Course (only a 10 minute walk or a 3 minute drive!). We even have a number of repeat bookers who come to Tocumwal every year, or multiple times a year, just to play golf. With such an enviable reputation, we decided to share with you what makes Tocumwal Golf Club so special. Tocumwal Golf Club has a reputation as the ‘Golfer’s Paradise on the Murray’. This magnificent course, home of the Southern PGA Trainees Championships, offers two 18 hole courses with quick greens and rolling fairways. Each course offers its own set of challenges to golfers of all levels. Check out the course map and see why Tocumwal is ranked as one of Australia’s top 100 golf courses. There are many clubs which enjoy reciprocal rights at Tocumwal and new golf memberships are currently available. The friendly team in the Pro Shop can help you with everything from equipment hire to advice on different course combinations. For example, did you know that the holes on both courses can be arranged so you can experience up to 6 different course combinations? There are some restrictions on social tee times so it’s best to contact the Pro Shop in advance to make a booking. Motorised golf carts, pull buggies, clubs and clothing are also available at the Pro Shop. The fantastic Golf & Bowls Club bistro is open 7 days a week and serves a variety of snacks and meals (both lunch and dinner). This family friendly venue also caters to children with a special menu and separate play area. The feedback we have had from our guests is all positive. Many of our guests are impressed by the lovely view of the golf course and the relaxing atmosphere. Others comment on the delicious and reasonably priced meals. 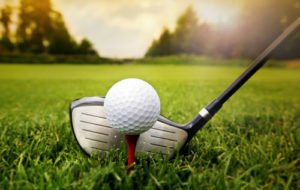 Thinking about a Golfing Holiday in Tocumwal? Tocumwal All Seasons offers affordable accommodation only a stone’s throw from the famous Tocumwal Golf Course. Book Now!